Several Siding Choices for Colorado Springs homes. Home \ Several Siding Choices for Colorado Springs homes. In Colorado Springs, siding is a purchase that many people hope to only have to make once in the lifetime of a home. Many prospective clients come to us, having never purchased siding before in their lives, and are in the dark as to what types of siding are out there and which is best for their purposes. So for residents of Colorado Springs, siding needs to be durable. It needs to stand up to the elements for many years to come. It needs to be as maintenance free as possible, because who wants to spend any of their time or energy doing maintenance on home siding? And last but hardly least, it needs to look beautiful, not just when it is first installed but for as many years as possible. Without repainting. Let’s talk about the main types of Colorado Springs siding that we would recommend. Of course, everyone is familiar with traditional wood and cedar shingle siding, but those might be the least worthy of standing up to the elements and remaining maintenance free for years of all the available options. 1. James Hardie fiber cement siding: the gold standard. Made of sustainable materials, this siding is so durable, it laughs at hurricane force winds. It is non-flammable, in the event of a fire. It comes in a wide array of gorgeous styles and colors, including one that mimics the look of cedar shingles. And it’s a great insulator for your home. 2. Vinyl siding: the most popular siding choice in the country today. Durable and affordable, vinyl also comes in beautiful styles and colors. 3. Steel siding: more for commercial projects, this siding can stand up to whatever Mother Nature or the Colorado Springs climate can throw at it. 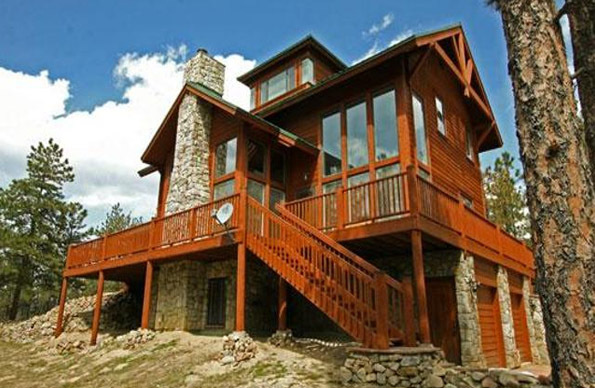 If you are looking for a contractor in Colorado Springs, siding is what we do! With over fifteen years’ experience on the Front Range, we are happy to advise you as to which siding would best suit your needs. Please contact us today for more information or a competitive bid for your home or commercial siding project.